It’s Day 342 and I had a good time with today’s piece. 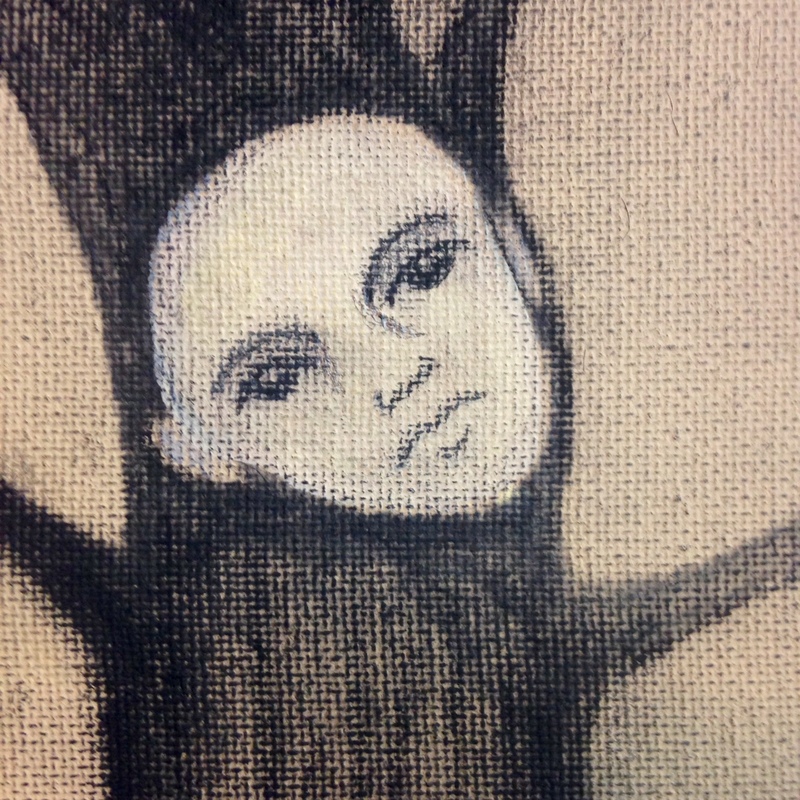 I was torn on what style I wanted to paint in because the artist did so many styles. 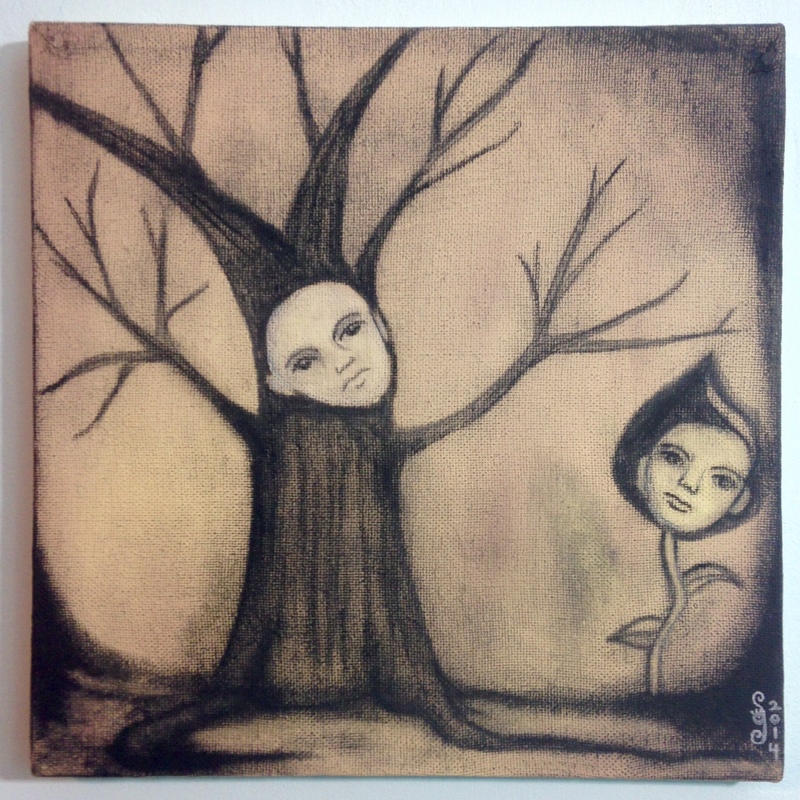 I decided to do a charcoal based piece because I wanted to experience charcoal a bit more before this project ended. 🙂 Thanks to my friend Mark Rachel for recommending today’s artist. 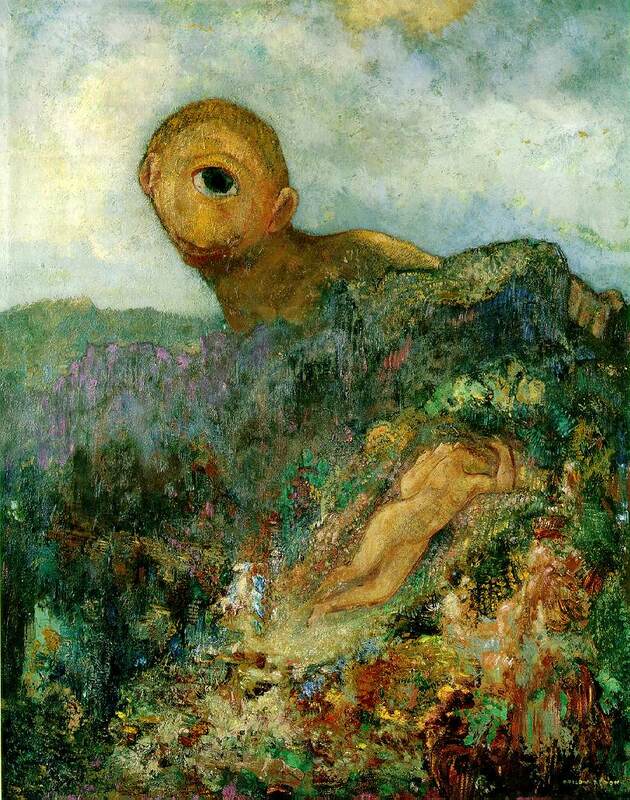 Please join me in honoring Odilon Redon today. 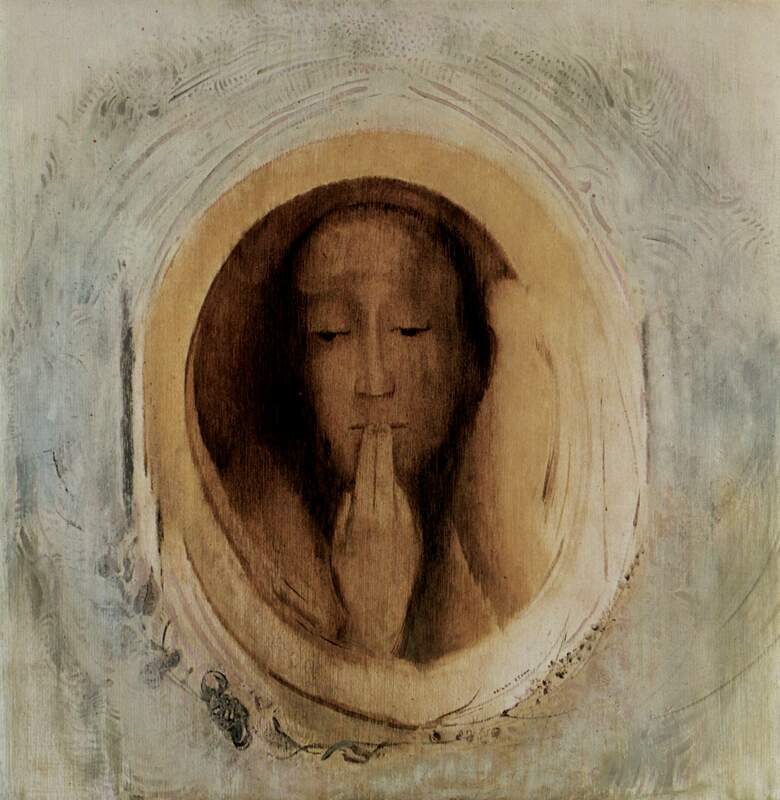 Odilon Redon (born Bertrand-Jean Redon; French; April 20, 1840 – July 6, 1916) was a French symbolist painter, printmaker, draughtsman and pastellist. 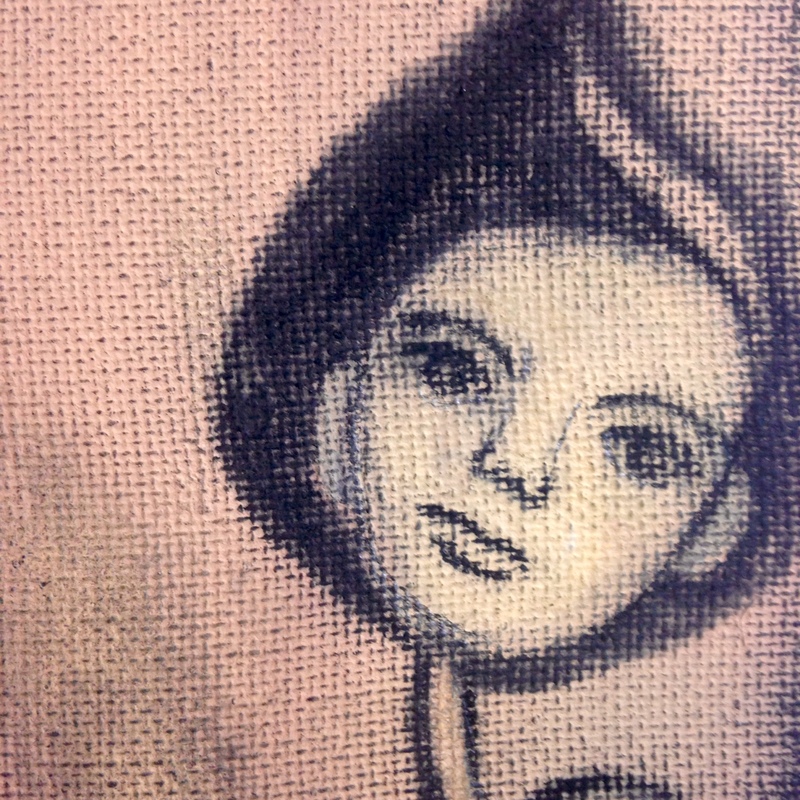 Bresdin instructed him in etching and lithography. His artistic career was interrupted in 1870 when he joined the army to serve in the Franco-Prussian War. At the end of the war, he moved to Paris, and resumed working almost exclusively in charcoal and lithography. He called his visionary works, conceived in shades of black, his noirs. 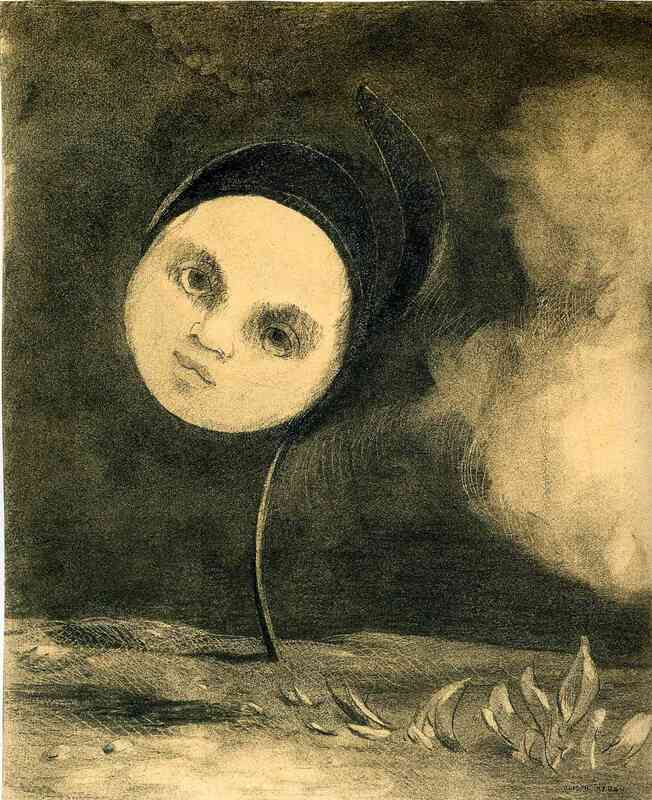 It was not until 1878 that his work gained any recognition with Guardian Spirit of the Waters; he published his first album of lithographs, titled Dans le Rêve, in 1879. 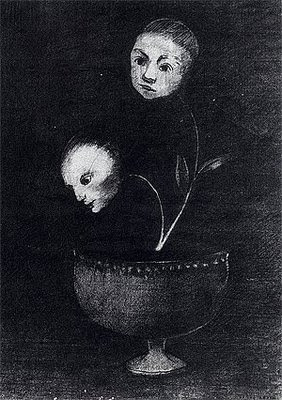 Still, Redon remained relatively unknown until the appearance in 1884 of a cult novel by Joris-Karl Huysmans titled À rebours (Against Nature). 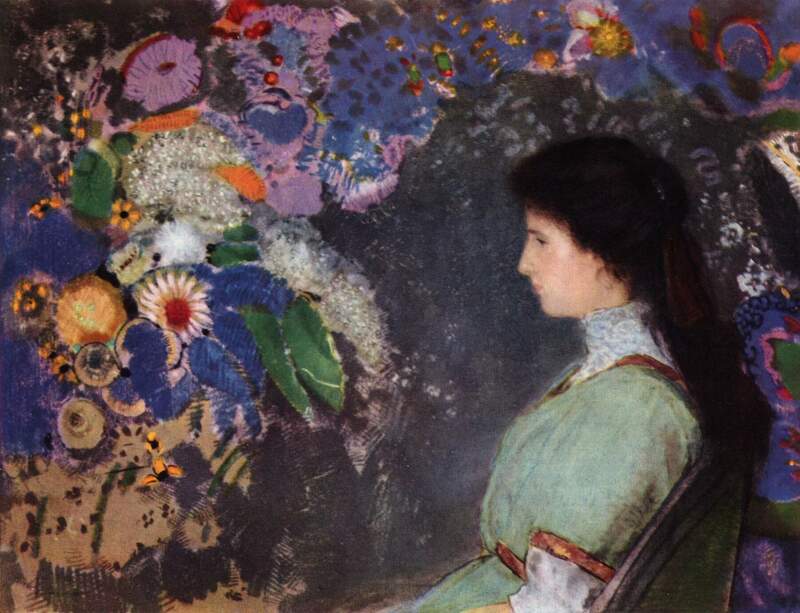 The story featured a decadent aristocrat who collected Redon’s drawings. 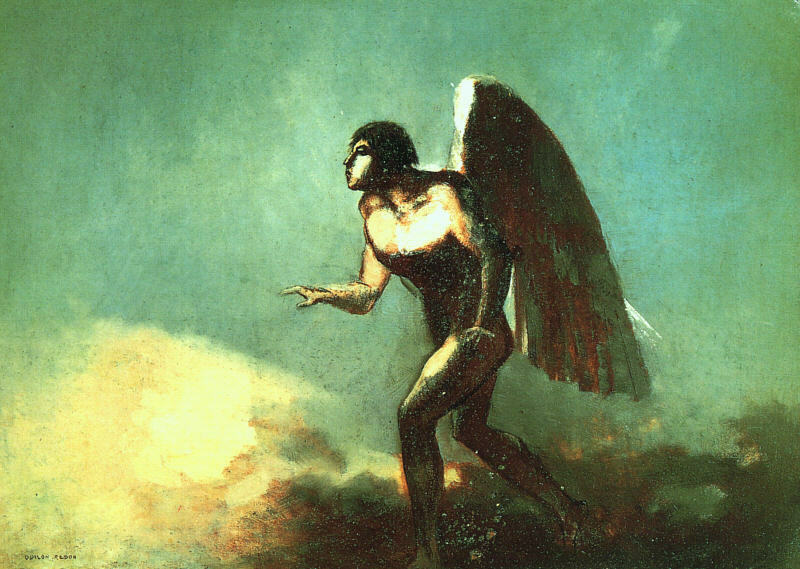 In the 1890s pastel and oils became his favored media; he produced no more noirs after 1900. In 1899, he exhibited with the Nabis at Durand-Ruel’s. Baron Robert de Domecy (1867–1946) commissioned the artist in 1899 to create 17 decorative panels for the dining room of theChâteau de Domecy-sur-le-Vault near Sermizelles in Burgundy. Redon had created large decorative works for private residences in the past, but his compositions for the château de Domecy in 1900–1901 were his most radical compositions to that point and mark the transition from ornamental to abstract painting. The landscape details do not show a specific place or space. are mostly yellow, grey, brown and light blue. The influence of the Japanese painting style found on folding screens byōbu is discernible in his choice of colours and the rectangular proportions of most of the up to 2.5 metres high panels. Fifteen of them are located today in the Musée d’Orsay, acquisitioned in 1988. Domecy also commissioned Redon to paint portraits of his wife and their daughter Jeanne, two of which are in the collections of the Musée d’Orsay and the Getty Museum in California. Most of the paintings remained in the Domecy family collection until the 1960s. 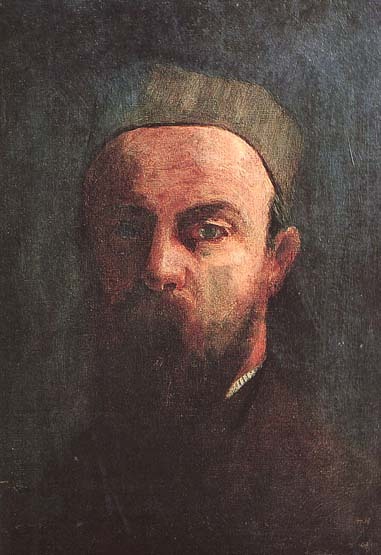 In 1903 Redon was awarded the Legion of Honor. His popularity increased when a catalogue of etchings and lithographs was published by André Mellerio in 1913; that same year, he was given the largest single representation at the New York Armory Show. Redon died on July 6, 1916. In 1923 Mellerio published Odilon Redon: Peintre Dessinateur et Graveur. An archive of Mellerio’s papers is held by the Ryerson & Burnham Libraries at the Art Institute of Chicago. 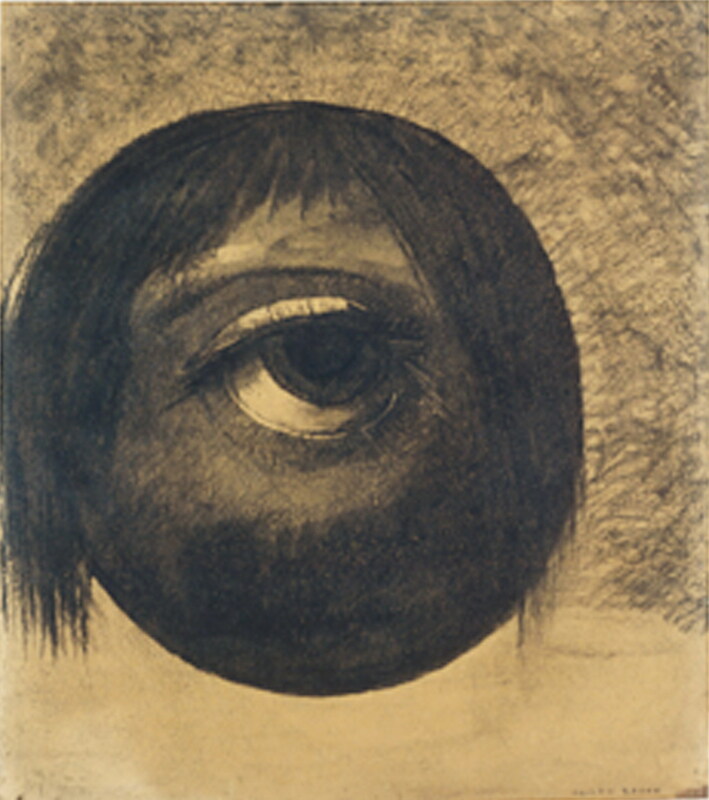 In 2005 the Museum of Modern Art launched an exhibition entitled “Beyond The Visible”, a comprehensive overview of Redon’s work showcasing more than 100 paintings, drawings, prints and books from The Ian Woodner Family Collection. 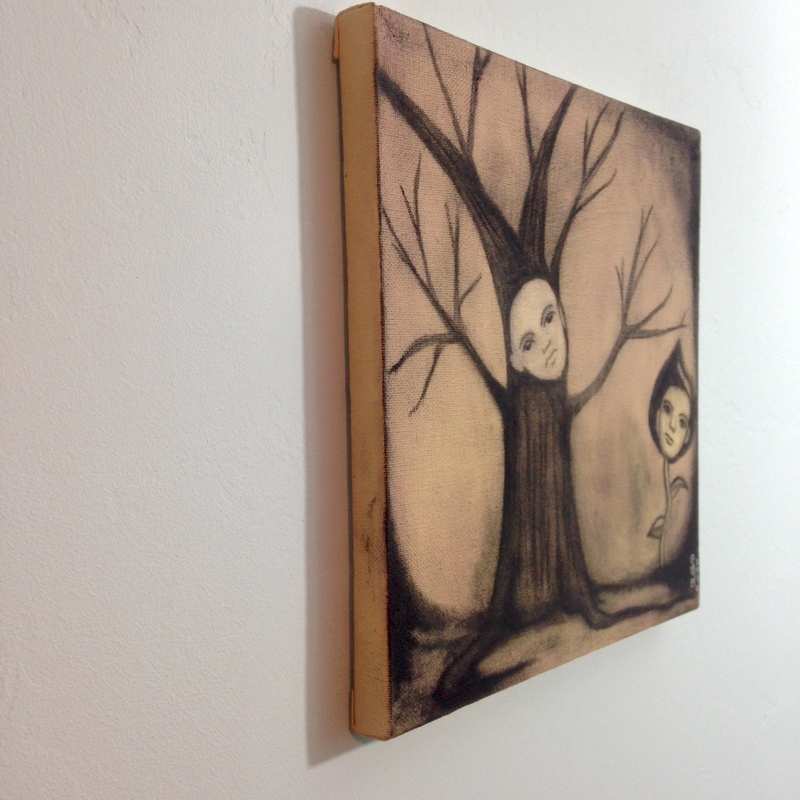 The exhibition ran from October 30, 2005 to January 23, 2006. The Fondation Beyeler in Basel, Switzerland is showing a retrospective from February to May 2014. 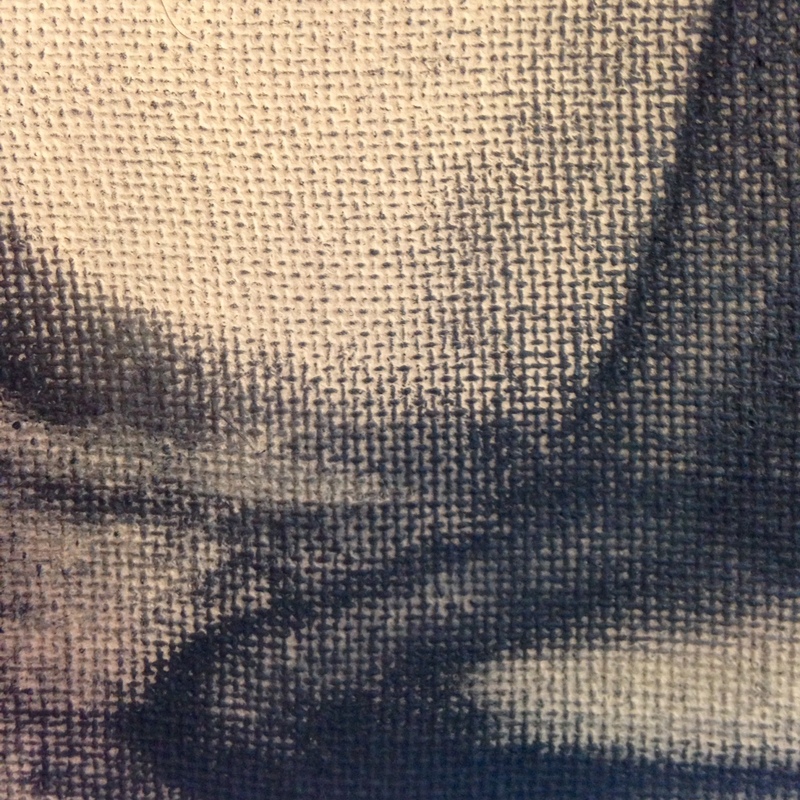 I was really drawn to Redon’s charcoal or “noir” drawings. So I decided to focus on that style. I hope you enjoy my piece for today and I’ll see you tomorrow on Day 343.